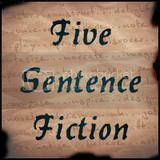 This entry was posted in Five Sentence Fiction and tagged faces, Five Sentence Fiction. Thank you so much for joining FSF!! Look forward to reading more of your writing. This piece was so heartfelt and real. Excellent!!! Thank you Lillie. Most gracious of you. I’ll endeavor to write more FSF. I’m really glad you joined us this week. I hope you’ll continue this weekly writing challenge. It’s surprising how unexpected the stories can be that come from the prompts. Well done on this! Welcome! What a brilliant start too. I wonder how many other religious figureheads entertain the same notion. I suspect that my story has played out many times Sandra. Thank you for your kind comments. What a great piece of writing to start off with and a great take on the prompt. I can just imagine his despair as he looks on those faces and realises his words can’t help them. It must be heartbreaking Mike. Despair sums it up quite nicely. Thank you. This is wonderful, Andrew. So nicely layered with emotion. And what sadness at the end. After his life’s work, it’s come to this. You’re a natural at the FSF stuff. Welcome! Look forward to reading more from you. I’m honored Jayne. Thank you. Did well communicating his emotions. I’ve always been told that you never know who you reach because sometimes you can’t know, but we all have the ability to reach someone. Great story. I hope that we can all touch someone emotionally when it really, truly matters. Thank you for your considered comment. I have read this several times, and am impacted strongly with each re-reading – touched by how the man’s realization of his plight (and theirs) thuds inside him, perhaps bringing into question everything he has stood for. It would be interesting to read more about his journey going forward. I’m impressed, Andrew, by this excellent first 5SF. I’m joining the “more please!” crowd. Thank you Britton. I too feel that there is more to tell about this man. Perhaps a future tale will reveal more.